We are doing a Visual Effects test for a live action and CGI feature film we have in development. The VFX test will show a CGI baby walking and talking and so we need to find and cast a beautiful baby to star in it! The chosen baby will have their movements and facial expressions captured (no talking required) at a special photographic room at our SFX Company in London. This data will drive the animation for the CGI baby we create for our test. We are looking for any budding baby boy actors from around 8 month - 15 months old. 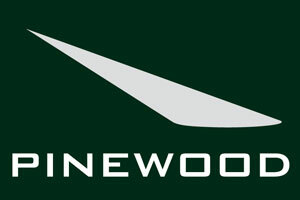 We would need baby and parent/chaperone to come along to Pinewood for a half day and a Central-London based location for a half day. At this session, we would need the chaperone to work with their baby to allow us to capture as many facial expressions as possible in front of an array of cameras! We would only need the baby and chaperone for one full day in total and there will be a fee for the day…and also the opportunity to see your baby walk and talk ahead of all the other parents! All travel to and from the session would be covered by the production company.